Knobby ruffles gracefully curl the edges of Parrot Tattoo's soft pink petals. 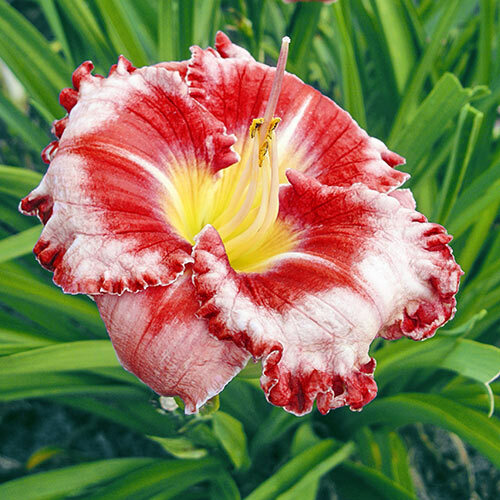 These 5¾" blooms are enlivened by bright red eye zones and candy-apple red edges. Enjoy their tantalizing fragrance a second time when the flowers return some weeks later.